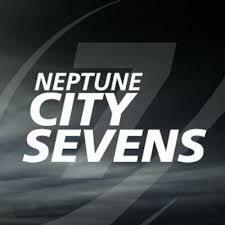 The City Sevens Rugby Tournament has been running for over 40 years and attracts a wide range of organisations including lawyers, accountants, brokers, surveyors and asset managers as they compete to be crowned the City’s rugby champions. Previous team entrants have included PwC, BDO, Aberdeen Asset Management, Standard Life Investments, KPMG and Slaughter and May. This friendly tournament attracts teams with a range of abilities and features a main, plate and bowl competition (minimum of three games). The entry fee starts from £875 and includes food and drink vouchers for a team of ten players. All entry fees and money raised on the day goes to an extremely worthwhile charity –Child Bereavement UK (CBUK). Since 2010, the tournament has raised over £100,000 for CBUK. The money raised has equated with the Charity being able to provide a total of 2,600 support sessions to bereaved children, young people and adults. Please enter a team and help us break through the £125,000 barrier! In 2018 the event will take place on Sunday 20th May.